The CT Scan confirmed that I did have appendicitis. So off to immediate surgery I went. 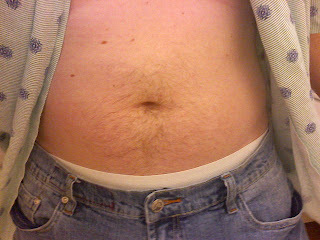 I took this picture of my tummy just before they made me take off all my clothes and take me up to the O.R.